The 10th anniversary of 9-11 is a reminder of how fragile and precious life can be. It brought out the best in us as a nation, as we entered a new era marked by national pride and self-sacrifice. Members of Congress sang “God Bless America” on the steps of the Capitol while young people signed up for the military, knowing they would probably be sent to a war zone. 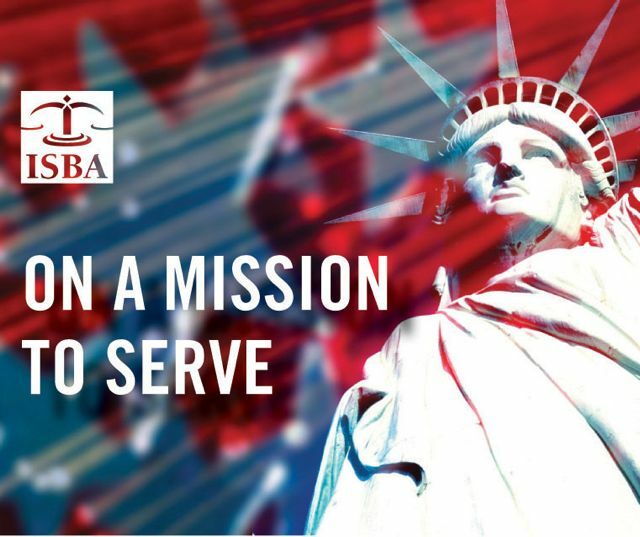 ISBA lawyers with a military background stepped forward to form the Committee on Military Affairs and trained other members so they could provide needed legal services, often pro bono, to members of the military and their families. How ISBA lawyers choose to commemorate 9-11 is, of course, a personal matter. Some will remember the day by supporting a cause, volunteering or performing an act of kindness. Others will commemorate the tragedy through discussions and actions year-round. Still others will carry the memory privately in their hearts and prayers. What are your thoughts and reflections as we remember this major turning point in all our lives? I invite you to post comments below. The 2nd phase of the renovation of the ISBA's Chicago Renovation continues. Demolition of old walls, ceilings and flooring is complete and new walls, lights and bathroom tiles have been installed. This project is on schedule and will provide an improved member experience for CLE classes and a studio for enhanced online learning. Q. Our firm does mostly flat fee work. I am the sole owner of the firm and am considering hiring my first associate. Each of us work as a team and do a lot of cross-over work on all client/matters. I have two paralegals. We don't keep timesheets on our flat fee cases. Do you have any suggestions as to how to proceed with the hiring of this associate? A. It sounds like your firm is reluctantly approaching the next step in its growth. Adding your first associate will change the dynamics of your firm and will require you begin to implement more formal approaches to performance management for all members of your team - the new associate, your staff, and yourself. I would start by thinking through the exact tasks and roles that you would like the associate and other staff members to perform. In other words define the associate position. Do to expect the associate to bring in business? Are you willing to train a new associate without experience or are you looking for someone with experience. Can you structure work so there is less crossover of team members on files? If not, how are you going to measure their performance and production? (Time, their production fee dollars, file or case counts, etc.) Are you going to incorporate a variable pay or incentive bonus component into the compensation plan for the associate as well as the other staff members? (More firms are doing this) Define the position first and then decide on the "whom". It’s now even easier for you to save time and money with FedEx. As a member of ISBA, you are eligible to receive special savings of up to 20% off select FedEx Office copy and print services and 10% off other services at more than 1,800 locations nationwide. Click here and enter passcode 4JHFN9 to enroll online. If you have additional questions, call 1-800-MEMBERS (1.800.636.2377, 8 a.m.–6 p.m. EST, M-F). The Justinian Society of Lawyers will honor ISBA President John G. Locallo and Appellate Justice Mary Seminara Schostok at its annual Installation and Awards Dinner on Thursday, Sept. 22. The evening begins with cocktails at 5:30 and continues with dinner at 6:30 and will be held at the Palmer House Hilton, 17 E. Monroe. 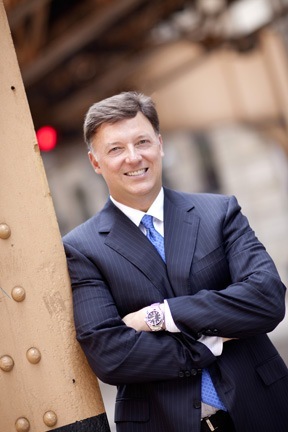 President Locallo will receive the prestigious Award of Excellence. This award is given to an individual who has proven leadership and has improved the condition and image of Italian Americans. Justice Schostok will receive the Helen M. Cerise Award of Recognition. This award is named after the first female Italian-American Lawyer in Illinois, and one of the youngest and most accomplished women of her time. Katherine Amari O’Dell was formally sworn-in as the new President of the Justinian Society in May and will be ceremonially sworn-in at this event. The Illinois Department of Public Health's website has a page dedicated to advance directives that has a Spanish option as well. You may find that page here. Fall is just around the corner and school is starting up, but it’s not too late to get a great offer on PC’s that ship in time for back to school. Attached is the September flyer for ISBA Members to take advantage of Dell's closing deals for the summer. Last month for the Free Xbox when you purchase a Dell PC for $699 or more. $50 off coupon for select systems $699 or more. The State Board of Elections will accept for filing and process only one petition for a circuit vacancy and/or only one petition for a subcircuit vacancy in any filing period. PA 97-81 did not change existing law regarding candidates filing for other multiple incompatible offices. Please refer to the judicial candidate filing and multiple office filing information in the State Board of Elections’ 2012 Candidate’s Guide (www.elections.il.gov) for further guidance. The 2012 Candidate’s Guide contains important information as to these topics and the State Board of Elections’ policies on judicial filings. The State Board of Elections’ policy on judicial filings can be seen here. Legal Tech: What does Google consider high quality for ranking purposes? Months ago I wrote an article in this publication about the new Google algorithm called Panda. Google has a webpage devoted to questions about Panda and how the average person can tweak their website content to allow for better rankings. The Google article is located here. Below are a few of the more important things to consider for improving your rankings but I would suggest reading the Google article and coming up with a more robust website strategy based on the tips in the article. Here is a list of the top five questions the algorithm asks (chosen from my own personal preference). Read more or comment about Legal Tech: What does Google consider high quality for ranking purposes?